Book Your Flight To Houston Right Here! Houston is nicknamed as ‘Space City’ and is a global city with major strengths in business, international, entertainment, culture, media, fashion, medicine, research, technology, sports, and trade. Not only this, the city is famous for its various forms of art, theaters, parks and recreations, infrastructure and much more. 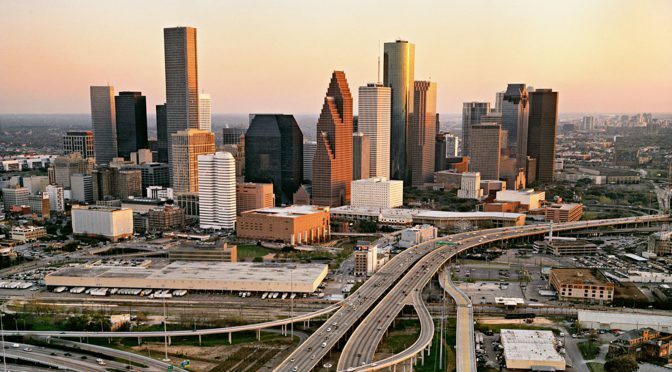 Founded on August 28, 1836, and incorporated as a city on June 5, 1837, Houston city is known widely for its fourth-tallest skyline in North America after New York City, Chicago, and Toronto. Also, a seven-mile system of tunnels and skywalks links many buildings, shops and restaurants. Houston Zoo: This one is a must visit site for all wildlife adorers. The zoo houses near about 6,000 species of variety fauna and receives more than 2.25 million visitors each year. Not only this, but the city’s zoo is also known for supporting more than a dozen conservation projects in Texas and across the globe. Space Center Houston: The Space Center Houston boasts of more than 400 space artifacts alongside many traveling exhibits and theater related to the exhilarating future and the incredible past of nation’s space-flight program. The Space Center Houston houses many space artifacts and hardware including Lunar Rover Trainer, Lunar Samples Vault, Skylab 1-G Trainer, Gemini 5 capsule, Mercury 9 capsule, etc. Children’s Museum of Houston: This is one of the most preferred spots for children. This museum consist of numerous hands-on interactive exhibits from the fields of science and technology, health and human development, history and culture and the arts. Mahatma Gandhi District: An ethnic enclave in Houston, Texas, also known as Little India, Mahatma Gandhi District is named after Mahatma Gandhi, who was a well-known leader of Indian Independence Movement in British-ruled India. The area is predominantly filled with Indian and Pakistani restaurants and shops and houses large population from both these countries. The area is commonly known as ‘Hillcroft,’ after Hillcroft Avenue, a major place which houses most of the Mahatma Gandhi district. Hermann Park: One of the most visited public parks is now Houston’s most historically significant public green space. The park is home to numerous cultural establishments including Houston Zoo, Golf Course, Houston Garden Center, etc. Houston experiences a humid subtropical climate. It’s warmer during summers and pleasant during spring and fall. The best time to visit Houston is from February to April and from September to November. The temperature remains mild and cold during these months. Book Flights to Houston Right Here!